The SNES definitely has a lot of memorable tunes. Amazing compositions in games like Legend of Zelda, Secret of Mana, Donkey Kong Country, Final Fantasy 6, Chrono Trigger and many others have left 16-bit tunes running through our heads for years. This is where video game music started to take a turn toward the epic orchestral sounds we’re so used to today. However, you might have noticed that a lot more people are making NES, Genesis and Gameboy chiptunes and not SNES tunes. Why? Well, the overall quality of SNES music isn’t really that great. It’s all samples. Many people will say it’s hardly any better than your standard MIDI. It is true that it doesn’t have as much character as 8-bit synths. However, there is some charm to be found in these degraded 16-bit samples of strings, flutes and guitars. I mean, the amazing, lush songs on some of the SNES’ RPGs just couldnt happen on the NES or Gameboy. I really love the snappy compressed drums in Secret of Mana too. Today, we’ll look at how to get these samples loaded up in your DAWs and also emulate the SNES’ classic reverb with a basic tape delay controller. Every game had its own set of musical instrument samples unique to what the game needed. Most games have one sample per “instrument” that just gets pitch-bent up or down to match the key of the note being played. There are also some games that have a ‘kit’, which has a unique sample for each note on the piano roll. Some of the best sets of instruments come from games with orchestral soundtracks like Final Fantasy 6 and Chrono Trigger. Fortunately, since your basic sampler that comes with every DAWS has this kind of functionality, you can get SNES samples in SoundFont format and load them up in no time. You can download the SF2 files for some of the most popular games here from William Kage’s site. Zelda, Chrono Trigger and FF6 have some of the most memorable SNES sounds. I’m hoping he’ll finish his Metroid SF2 soon too! Every DAWS has different ways to load SF2 files. So you’re on your own for that, but just Google it and you’ll figure it out quickly. If your DAWS doesn’t have a default player that handles SF2’s download this great little VST called sfz. The SNES sound chip can do most things that a standard MIDI can do. You can change the Attack, Sustain, Decay, Release, Stereo Panning, Pitch bending and automating these things. 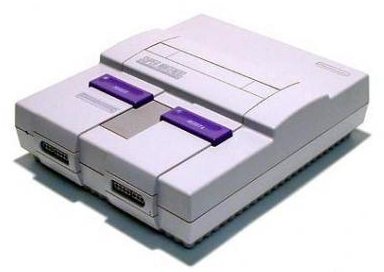 The SNES could also only play 8 notes at once. They can be chords of the same instrument (composed of the sample playing several times) or 8 individual instruments. Of course, your DAWS is not going to stop you from playing 100 notes at once, so you kind of have to impose these rules on yourself if you want it to sound authentic. There is also one special effect which sets the SNES apart, it’s distinctive reverb. One of the most recognizable things about the SNES is its huge use of an echoing effect that is usually just called “SNES Reverb”. Technically, it’s done with a FIR Filter which is sort of like a echo effect that has a filter cutting it off as it echoes. For those of you using VSTs, you can use this handy little VST effect to emulate the sound. It’s not perfect but it comes pretty close. For those using Logic Pro (no VSTs), you can use the tape delay to come up with the same kind of sound. See the video for an example of how modify the default settings of the Tape Delay effect that comes with Logic Pro to emulate the FIR filter.